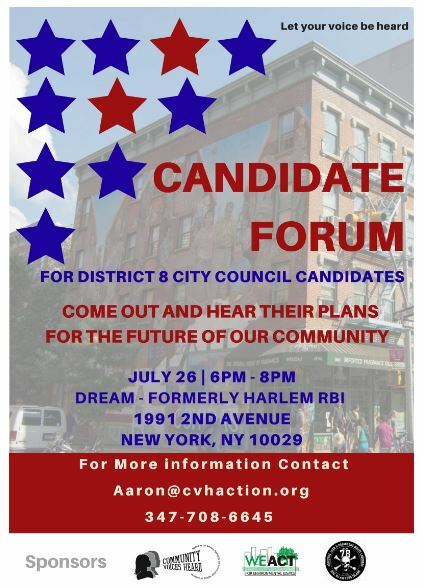 Join Community Voices Heard, WeACT and DREAM on July 26, 6-8pm for our Council District 8 candidate forum,where local residents are hearing directly from the candidates. Come to 1991 2nd Avenue in East Harlem. Bring your concerns and questions. And bring a neighbor.